Are your renovating your home and want to make it pet-friendly? Then you’re at the right place. It’s important to take care of your animals as well when you’re creating a customized space for yourself, and you can definitely find tons of ideas all over to incorporate into your designs. 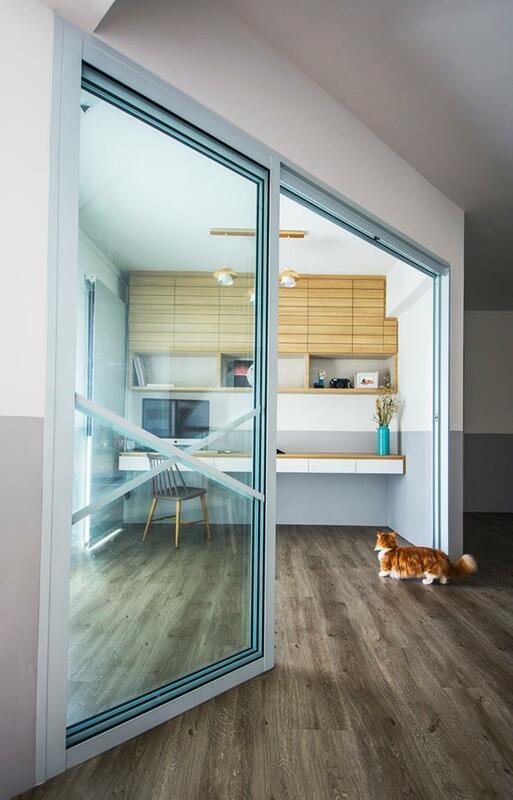 Since cat’s are a universally beloved pet choice, let’s take a look at how you can design a home that is stylish as well as fit for a cat. More than anything else you’ll find on social media ventures and interior design magazines, you can simply try to bring your childhood pet-home fantasies to life. 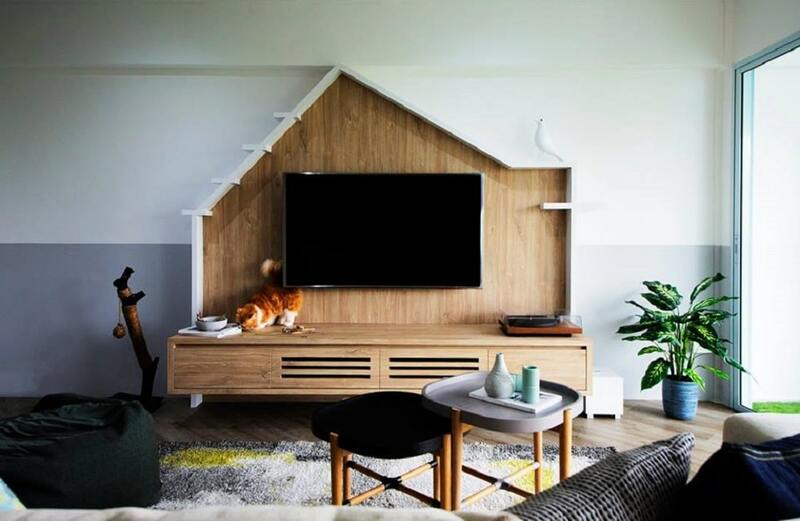 The hut-shaped media wall with a few built-in ‘pet-holds’ is a great example of how you can feature your childhood whimsy inside your new homes while making it the perfect habitat for your kitty. 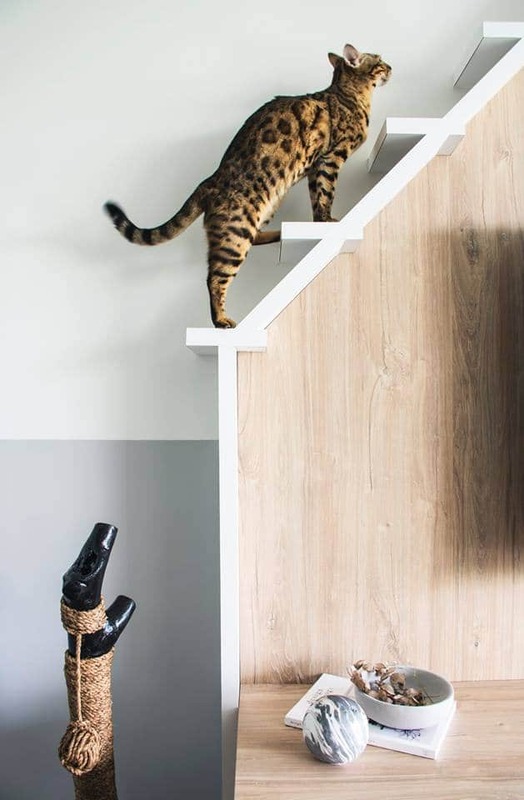 Cat’s – even indoor ones – have an inherent need to move and climb about, which is why you need to build in small pet-holds onto your in-built furniture. 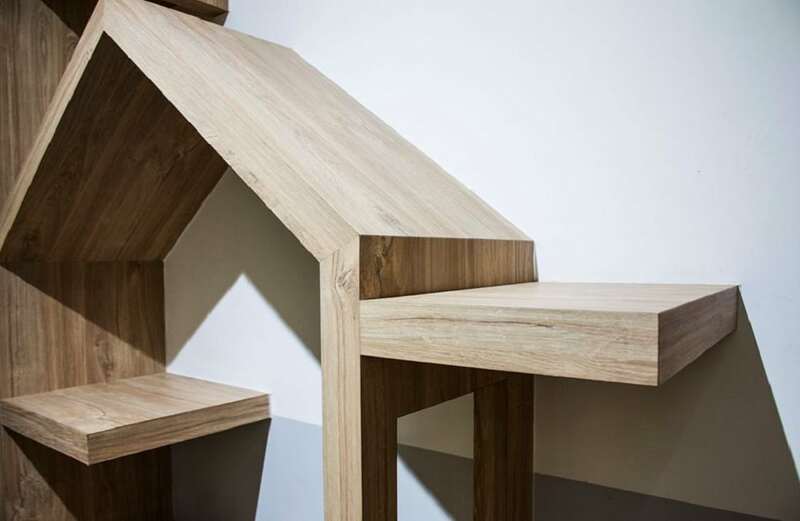 For example, if you’re going for a feature shelving unit, then it can have small extended planks as shown in this image that you cat can use as landings to jump and climb upon. Since you also need to be cognizant of your home’s stylish appeal, it can be hard to insert handy cat-holds on all of furniture. In this case, you can opt for some stylish free-standing accessories like the tall, yarn-ball clad climbing feature in this image. It resembles the make of a tree and is going to be an attraction for your cat whenever it has the urge to let out its playful side. 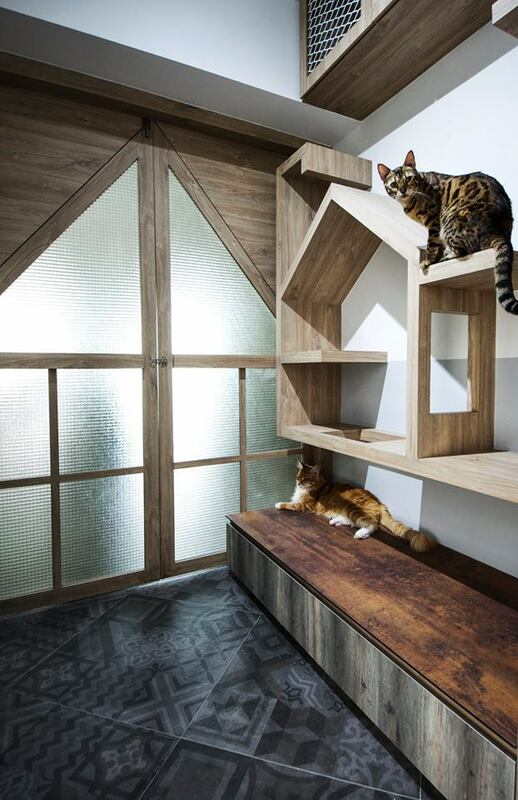 While it’s definitely important to emulate some activity features in your interior design when you’re making it cat-friendly, you must also create some resting spaces for you pets as well. The hut-shaped nook featured in this image is a great example of how you can create a small resting area for your kitty. It also features a few ‘holes’ so that your cat won’t have to take the long way home. An important thing to remember while designing a home that’s cat-friendly is to not dehumanize it. At the end of the day it’s your home before anything else, so make sure that all the requisite human-like features are done and accounted for – your needs definitely matter a lot.